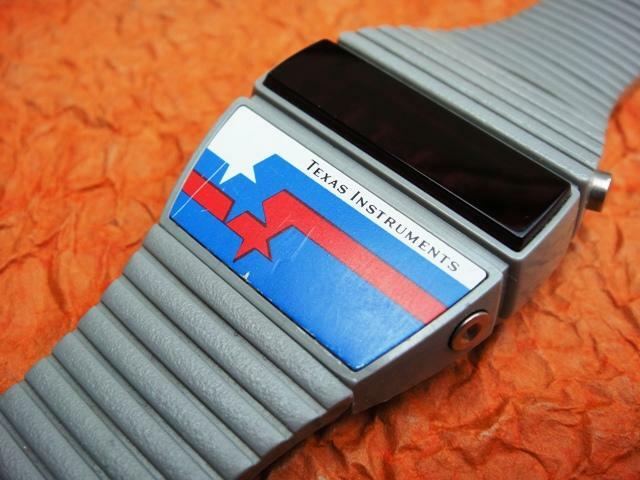 The name of Texas Instruments (TI) might ring a bell to some people as it is currently one of the biggest manufacturers of advanced scientific calculators. That is the core business of the modern corporation but in the old days TI produced all sorts of office equipment... including watches. 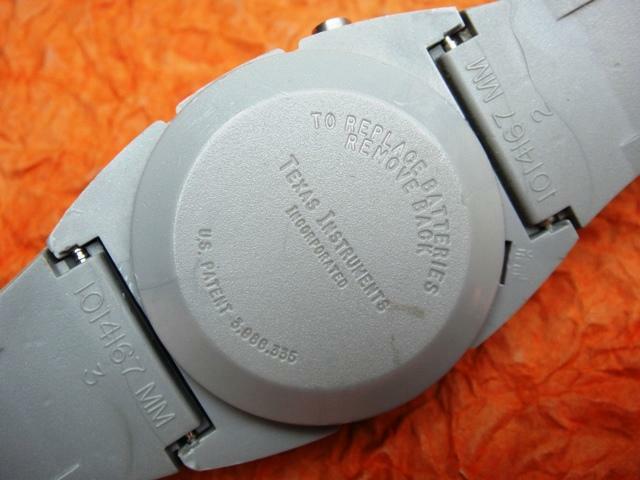 This plastic LED is the first in the World "disposable" digital electronic wristwatch marketed under 20$. 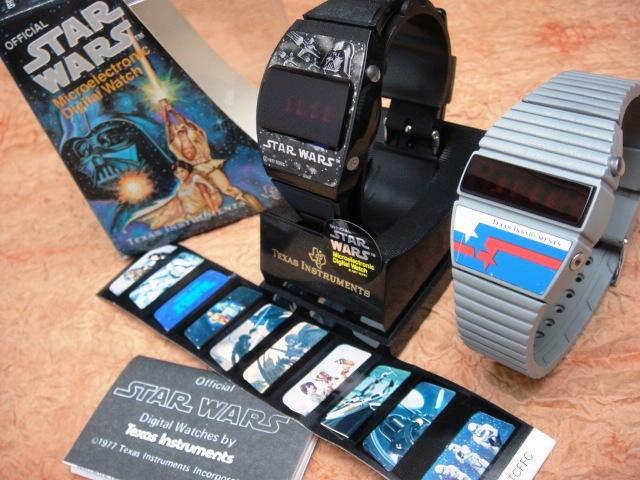 It was launched to market in 1977 and offered at movie theaters during premiere screenings of "Star Wars". 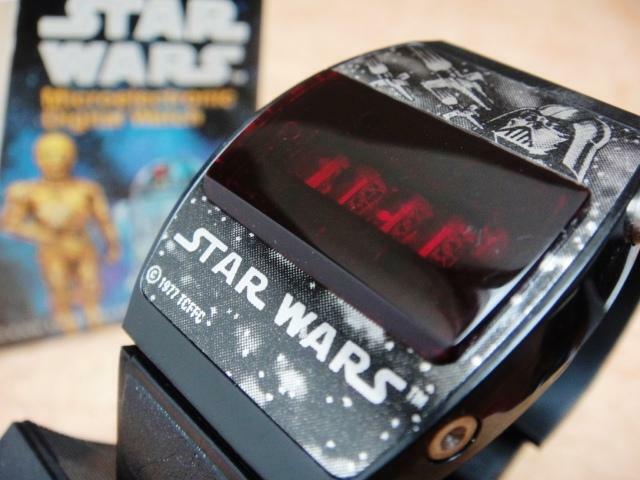 This association with the cult science-fiction saga has made these watches sought after by movie fans as well as sentimental people who owned such watches in their childhood. 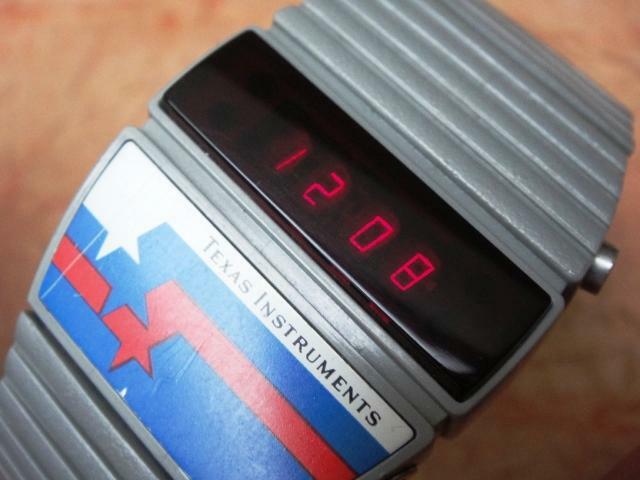 A few models and color versions were available that were also sold with other motives including Indy racing as well as generic Texas Instruments branding. 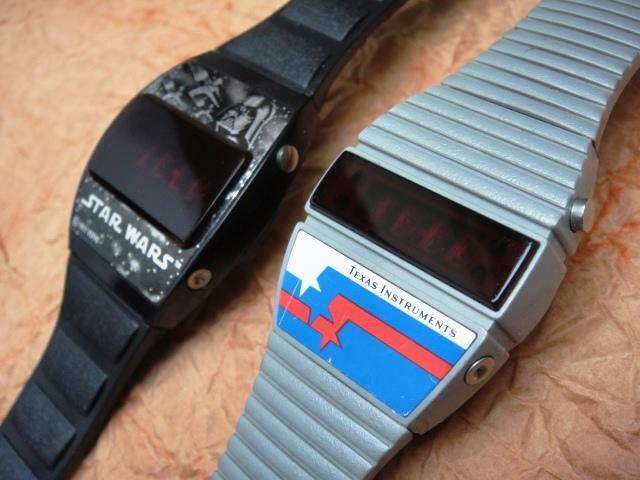 As shown to the right some limited edition watches like the one made for "Star Wars" had special packaging and labels that could be used to customize the appearance of the watch. 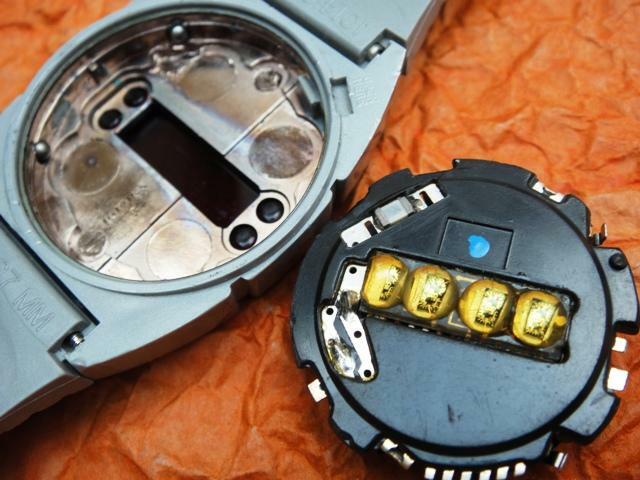 These watches utilize a very simple and cheaply made TI plastic module with bubble lenses on the display. They are nearly impossible to disassemble and thus hardly repairable. Please note that the inside of the case was painted with conductive silver to allow the caseback to close the electric circuit with the case. 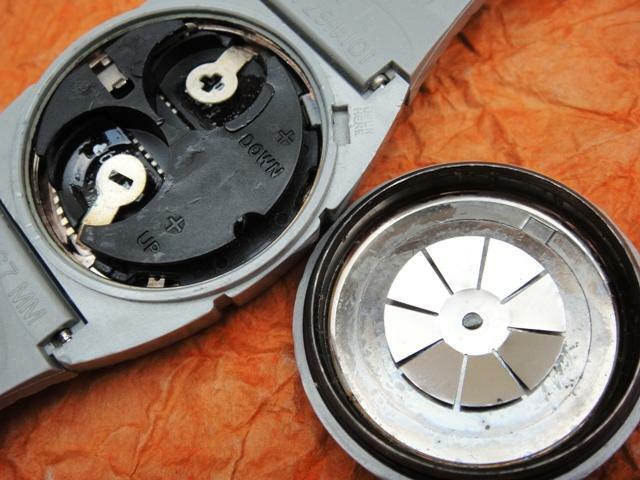 Major battery leakage is usually the cause for this paint to be missing (including the metal battery clamp) and the circuit will not be properly connected. Silver paint is a quick fix solution!